Last week Jessie and Georgie were down in London for Decorex catching up with the latest trends and sourcing some product for ongoing Curve projects. 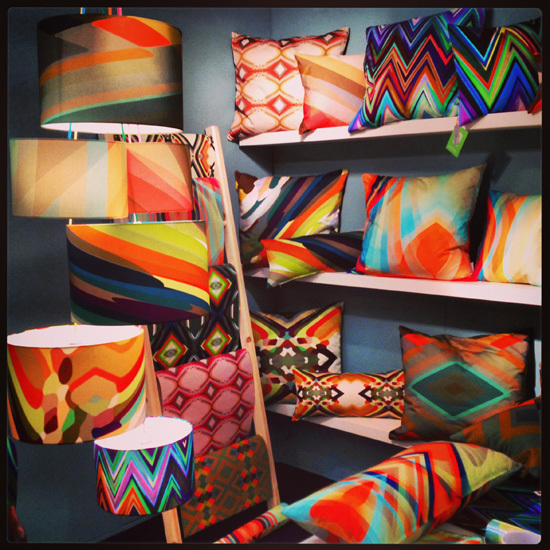 Some of their favourite highlights included catching up with Missoni Home, Mitas and Co, Boco Do Lobo, Bert | Frank lighting and Galerie Smith. Lots of monochrome and chevron style patterns were spotted, along with some gorgeous blues and greens. Also popular was the influence of the outdoors with some lovely nature inspired design which you can see in the photos. Into the evening the girls were entertained by parties at the Rug Company and George Smith, arriving back in the studio in Manchester on Wednesday with bags of brochures and ideas and slightly sore heads! September is always a really busy and exciting time for Curve, as everyone returns from holidays and looks towards the Autumn. We have started lots of new projects during the last few weeks. The team also like to get down to London to visit the design shows, catch up with suppliers and get plenty of new ideas. Last week Laura and Ben visited Design Junction, Tent London, Super Brands and 100% design in search of furniture, lighting and some specialist items for ongoing work. Here are some of their favourite finds, thanks Laura! 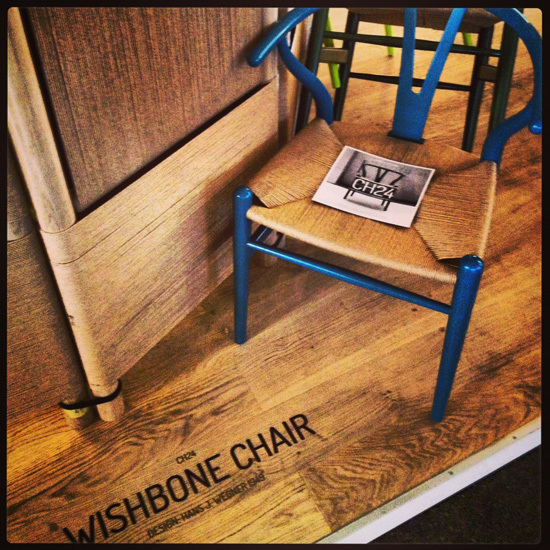 Carl Hansen – design classic CH24 ‘Wishbone Chair’ which we watched being strung – craftsmanship at its best. Willowlamp. 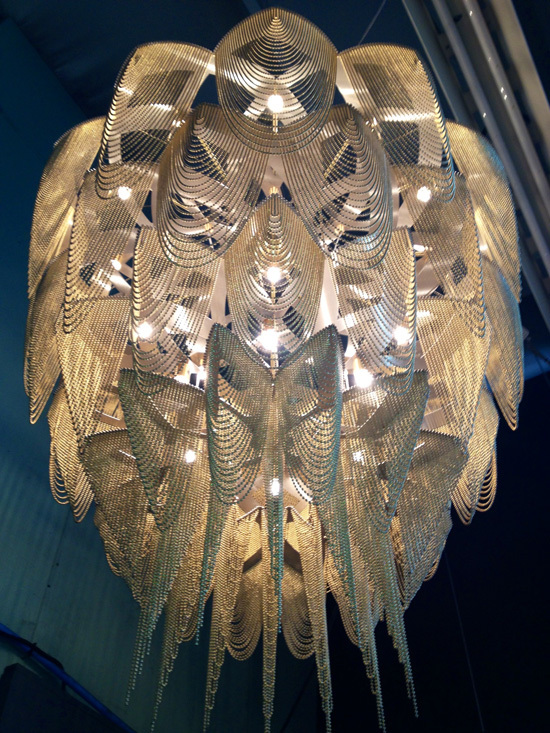 South African lighting company – Stunning 1920’s inspired bead chandelier. 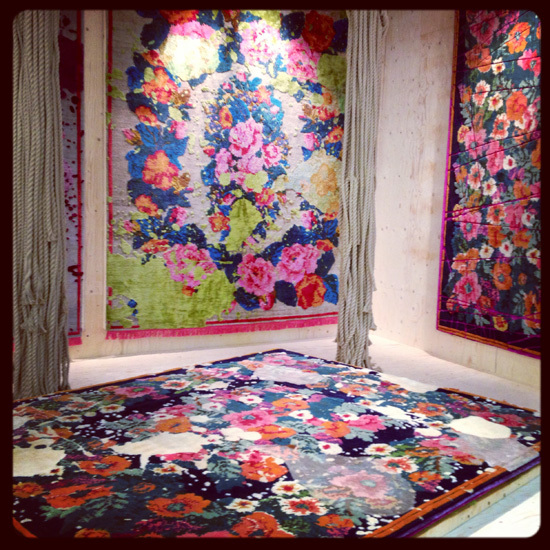 We visited our friends at Munna / Ginger & Jagger. 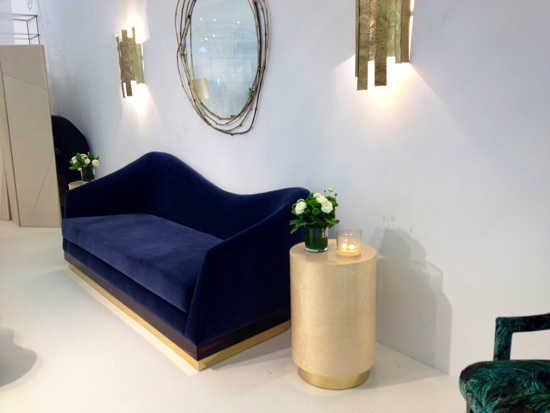 New ‘Time Collection’ – vintage inspired ‘rolling 20’s’ ‘Hughes sofa’ in blue grey velvet, wood veneer & polished brass. 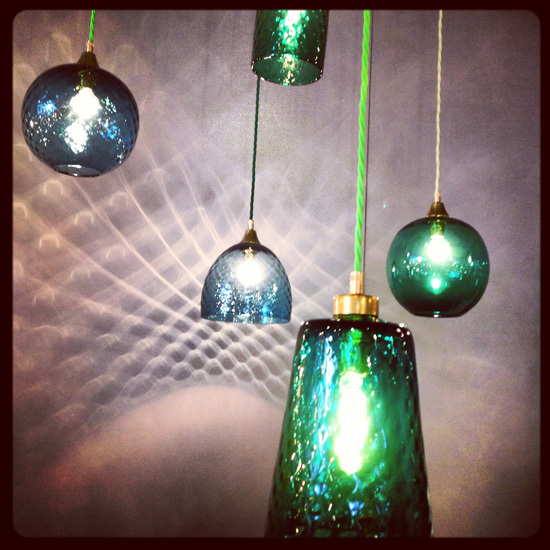 Rothschild & Bickers – Beautiful, vintage inspired handblown glass made in England. Vibrant colours with funky coloured flex. Had a good chat with them on the day about the craftsmanship and detail in each design – moulds made from Victorian designs taken from cut crystal. 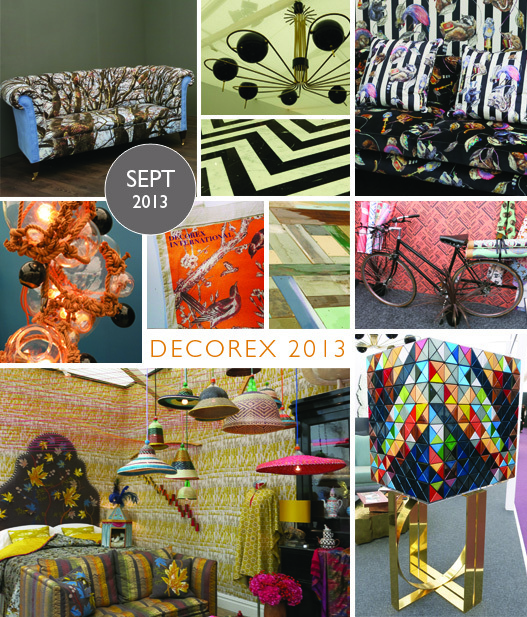 Look out for more news from London this week as Jessica and Georgie hit Decorex and some of the hottest parties in town!